The signature 篁子, Kou-shi is found only on this one print. It apparently represents a one-time experiment with new signatures. Rakusan soon elaborated this signature to 楽山篁子生, Raku-zan Kou-shi-sei, which is found on most later prints and in the title of the series. 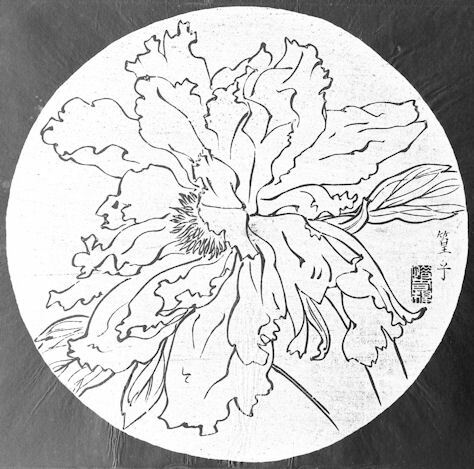 Later in the series Rakusan created a second tree-peony theme. That later 117 Winter Tree-peony theme is also perfectly regular in arrangement and content, but each of those designs bears later markings. The designs in the two tree-peony themes also differ in execution with the petals in the 103 Tree-peony theme more silhouette-like, and those in the 117 Winter Tree-peony theme filled with scribed parallel lines. 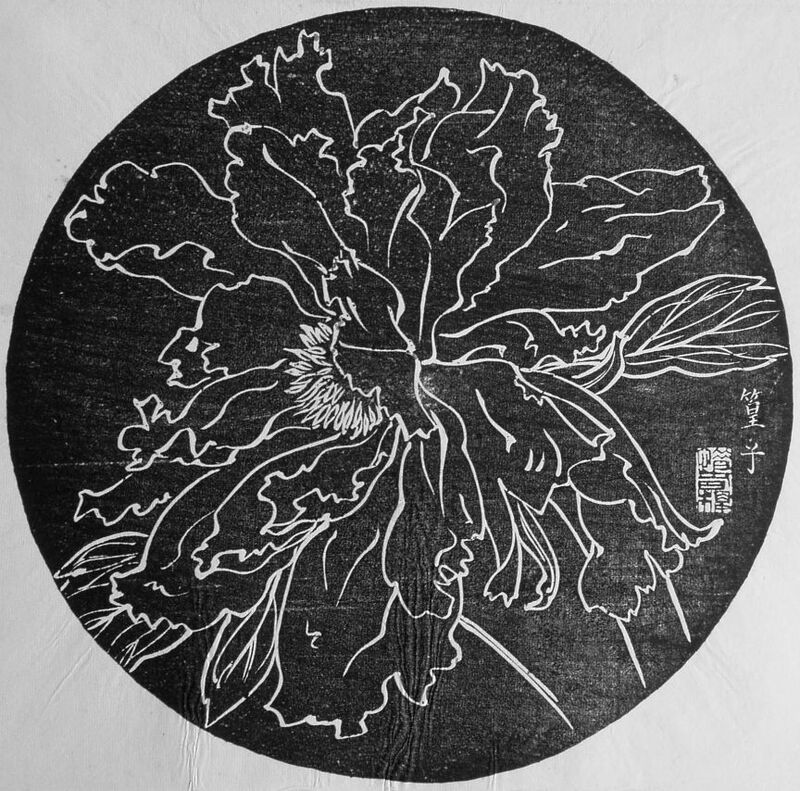 The 117 Winter Tree-peony theme represents a separate later addition to the series which (apart from its related subject) is entirely distinct from the 103 Tree-peony theme.